Lessons available for all levels and ages, at Gemsbrook or your own yard/venue. BD Accredited coach UKCC Level 3 and BHS reg. 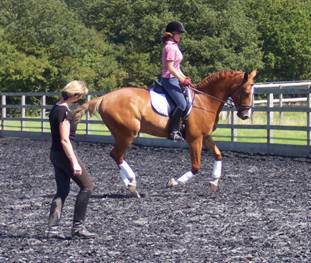 Lessons are usually given at Gemsbrook, although Paula is available for external clinics and to work freelance by arrangement. · under 21 clinics, including BYRDS. · A program of schooling sessions and lessons tailored to your needs. · 3 days plus with overnight stabling.